You've seen him as an inquisitive, arrogant crime writer in Castle, as a hardened and wounded dreamer in Firefly, and maybe even as the nerd royalty he is in his own web series, Con Man. You can see him this weekend in person, too. 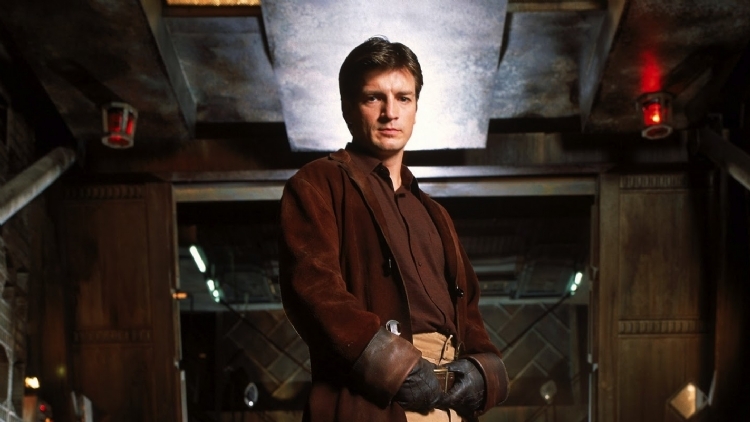 Before his upcoming guest appearance at Shanghai Comic Con, Nathan Fillion spoke to us about what he's up to next. 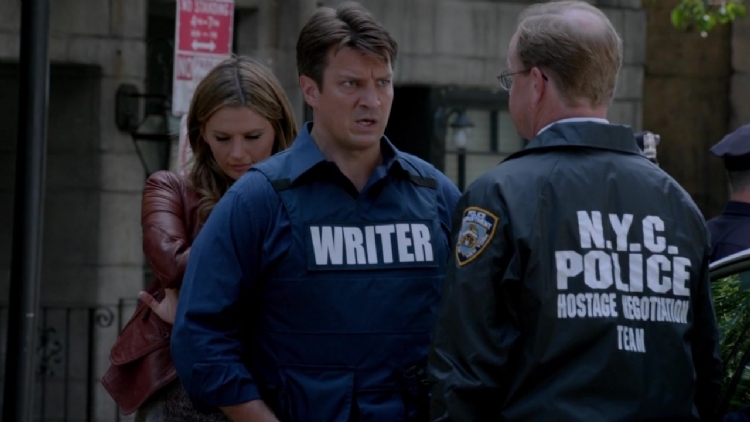 Castle ended this year after an epic run of 173 episodes. What's surprised you about life after Castle, your most time-intensive project? What kind of work are you looking forward to doing in the future? The first thing that comes to mind is that we did 173 episodes. I didn't know that was the number. I'm just finding this out right now. That's pretty great. A personal record for me. What I look forward to next is working with new people, and hopefully being able to build something amazing together, and enjoy each other, the way I enjoyed the people on Castle - cast, crew, writers, directors, everyone. You've acted in so many different ways, from traditional stage to TV to movies to voice acting to web to the radio-style Thrilling Adventure Hour. What do you enjoy about changing formats, and how do you change yourself to fit the format? I have! I've enjoyed many mediums of the 'craft', but I've come to realise that the job remains the same. I try to understand how to best serve the project, and do that to the best of my ability. Play a character with truth and honesty. Allow people to believe in what you create. What's the most important thing for actors (and aspiring actors) to do in your opinion? Act. Always act. Find work. Make work. Meet challenges. Face fears. Get better. Learn. Always be learning. Your web series Con Man draws upon accumulated personal experiences within the fan convention and entertainment media industries. What was it like doing a project that tied together you and Alan Tudyk's personal lives into the creative process, compared to original and stand-alone stories such as Firefly? Alan and I have had such fantastic times at conventions, both together and individually. Watching how Alan crafted real life experiences into entertaining stories, but centered them around a man who couldn't appreciate them was illuminating. Alan is an incredibly impressive talent, and I'm a huge fan. What should we look forward to in Con Man Season 2? We go a little deeper this time around. The stakes get much higher for Wray. Which means when he blows it, he blows it big. Speaking of cons, what are you looking forward to experiencing in China? I'm always excited to meet new people. Especially when those people are like-minded. I find there are subtle cultural differences in fandom around the world, and I can't wait to see what they are. Most of all, I want to talk to fans to see what excites them, what moves them. I love the connection we can all share. I visited Shanghai once before, ages ago. I'm eager to get back. There are things I'm looking forward to seeing again, but I also want to see what's changed. And I loved the food! What Chinese food do you like eating? Anything with chicken. Beef and veggies. Won ton soup. Pork and shrimp dumplings. The delicate ones. If Malcom Reynolds was suddenly warped out of the Firefly universe and ended up alone in Shanghai in 2016 with no hope of returning to his old life, what kind of new adventures and friends would he find? He'd find a small ranch, have some animals, a garden, and have the peaceful life he'd always wanted. Then he'd feel obliged to help some neighbors who were being hustled by banditos, who were part of a bigger gang, and operated by a bigger criminal organization, and he'd have to take them all on, losing someone he loved in the process. Somebody write this down, this is gold. You are dedicated to children's literacy and your nonprofit organization Kids Need to Read encourages literacy through gifts of books to underfunded libraries. Unfortunately, many kids don't like reading because they think the classic books their schools teach are boring and won't seek out libraries on their own. You've mentioned before that your parents didn't care if you were reading Stephen King or Douglas Adams, and this encouraging environment paved the way for your lifelong love of reading. Especially early on, interest in reading is key. From there, inspiration is born, and reading continues with pursuit of interests. For me, comic books played a huge role in what inspired me. Look how that worked out. What are you reading right now? How else do you entertain yourself? I haven't found a new book yet, so I'm open to suggestions. I finished Ready Player One a while back, and enjoyed it. I have the Vive, and I'm impressed with the new games coming out all the time. I've had the PlayStation VR for two days and am having fun when I'm not playing Destiny, but Halo 5 is my game right now. I've got a big group that loves getting together for games and laughs. Do you have anything you want to say specifically to a Chinese audience? I have to learn Chinese that isn't Firefly swearing first. What’s your top tip for visitors to get the most out of a Comic Con? Get ready to have a ball. Be open to meet new people. Bring hand sanitizer. That's a lot of people. Don't get sick. Shanghai Comic Con is on November 5-6 at the Shanghai Convention & Exhibition Center of International Sourcing. Get your tickets below through Time Out Tickets.